Jannie Blackwell has represented West Philly for 27 years. Jamie Gauthier thinks her time’s up. Jamie Gauthier, former head of the Fairmount Park Conservancy in West Philadelphia on Thursday, March 7, 2019. Gauthier is challenging Councilwoman Jannie Blackwell in the 3rd District. Blackwell has represented West Philadelphia since 1992. 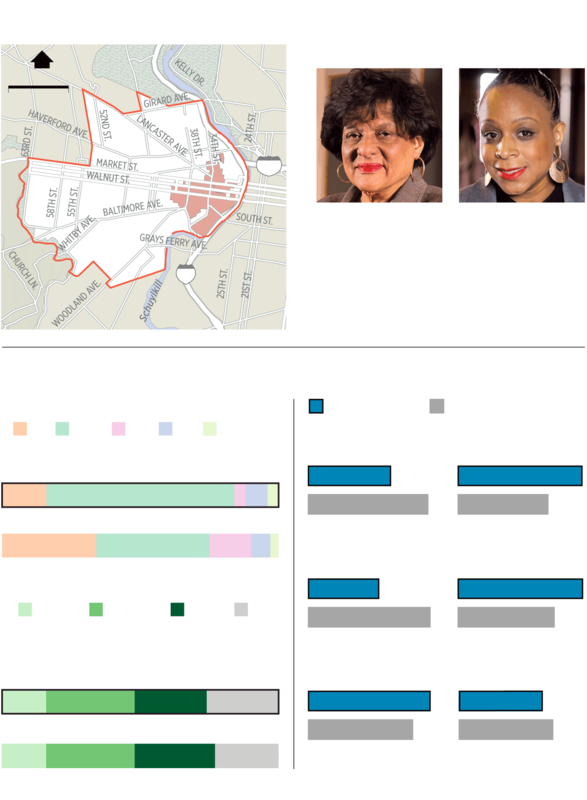 The first time Philadelphia Councilwoman Jannie Blackwell had a primary challenger, his slogan was: “It’s time for change.” That was 1999 and Blackwell had represented the Third District for seven years. This spring, Blackwell’s latest primary opponent has a similar pitch. Blackwell has represented West Philadelphia since taking over for her late husband, Lucien Blackwell, who held the seat from 1975 to 1992. Combined, they have represented West Philadelphia for nearly 45 years. Councilwoman Jannie Blackwell poses for a portrait inside her fourth floor City Hall office on Friday, March 22, 2019. Blackwell is running for her eighth consecutive term in West Philadelphia's Third District. Still, the matchup in West Philadelphia is perhaps the closest watched race in a May 21 primary that could bring a slate of new leadership to city government. Blackwell, the second longest serving member of Council and its oldest member, is perhaps the most stark example of a Democratic establishment candidate facing a political newcomer — but one with credentials enough to have a chance. While its Council representative hasn’t changed, the Third District has — seeing a 6-percent growth in population over the last decade and brisk development in neighborhoods west and southwest of University City. Blackwell’s handling of land deals amid that building boom sparked a fracas at her campaign announcement earlier this month and a brief protest at City Hall, putting an early spotlight on the race. Gauthier, an urban planner with a master’s degree from Penn, hopes to capitalize on that shift in the district, with a platform largely focused on managing gentrification. She’s the former head of the Fairmount Park Conservancy and a nonprofit coalition of sustainable businesses. She has some energy behind her, especially in University City but it remains to be seen whether it’s enough to overcome the incumbent’s long reign. Blackwell, 74, and chair of two powerful committees on Council, said she’s not ready to pass the baton. “This is my mission and when I think I’ve had enough, I’ll know that. I haven’t reached that point,” she said last week in her City Hall office, a mini-museum of political mementos, like her late husband’s boxing gloves, strung up on the walls. Blackwell is known as a master of old-school retail politics. She shows up at block parties and civic association events. Every year she throws a birthday party barbecue for the homeless in the courtyard of City Hall. At Christmastime, she rents out the Convention Center for a gift giveaway. On any given day in City Hall, hers is the office where people are lined up to see her and discuss their housing or unemployment issues. Her political decisions are largely guided by what she hears from those people, like her recent push for a parking ticket amnesty program after a bunch of her residents complained about getting fined for decades-old offenses. Some wonder, though, if she makes some decisions based on the last opinion she’s heard. Lucien Blackwell (far right) talks with his family in Mississippi in 1975 from his campaign headquarters at 45th and Walnut, with wife Jannie Blackwell siting center. She introduced a bill for a protected bike lane on Chestnut Street, celebrated by bicycle advocates, and then walked back support at its unveiling, after neighbors complained about parking. She’s been both lauded and criticized for how she balances neighborhood interests with the growth of institutions like Penn and Drexel. In 2017, after much prodding, she was the driving force behind a law enacted to add more zoning for single-family housing in Mantua. She’s also refused to designate Spruce Hill, known for its Victorian mansions, as a historic district, angering some residents there. Most recently, she delayed the sale of the former Provident Mutual building to benefit a developer. Gauthier says she’s running to increase transparency over district development decisions. She supports term limits for Council members, curbing Council’s largely unilateral control over land disposition — known as “councilmanic prerogative” — and instituting Philadelphia 2035, a remapping plan developed by neighbors and the City’s Planning Commission, which Blackwell has not advanced. 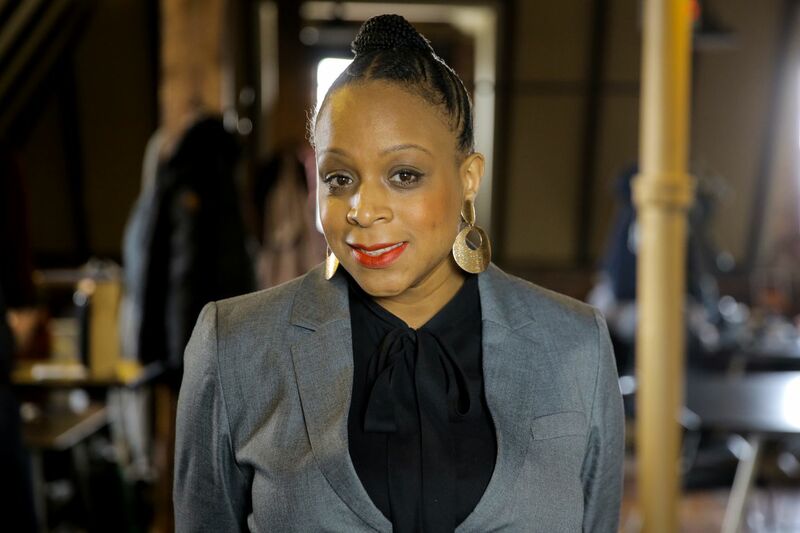 Born in the city’s Kingsessing neighborhood, Gauthier grew up seeing her father’s family struggle and relatives die young from addiction, mental illness, and other poverty-related issues. Her father, Leon Williams, is a two-time Independent candidate for district attorney, who advocated for criminal justice reform long before the current officeholder, Larry Krasner. Gauthier’s sister, Samantha Williams, is legislative aide to Fourth District Councilman Curtis Jones Jr.
Gauthier lived in Wynnefield before moving to Cedar Park eight years ago to raise her two sons in the Third District. Her platform also includes making it easier for businesses to navigate city bureaucracy and pushing for more environmentally focused initiatives in the city. Political insiders predict Gauthier could carry a large portion of the University City vote, but to win, she’ll need high voter turnout and support where most of the voters live, in areas further west and southwest. As of the last campaign finance report Dec. 31, Gauthier had $25,000 cash on hand and Blackwell had $2,000, both figures that will likely grow by the April 9 reporting deadline. Figures are 2018 estimates unless noted. SOURCES: Esri; U.S. Census Bureau; Phila. Pollice Dept. It’s difficult to handicap the race partly because it’s been so long since Blackwell had a challenger. Several heads of neighborhood associations, developers, and community organizers declined to discuss it, saying they feared the cold shoulder from Blackwell’s office if they spoke in favor of her opponent. Some pointed to video from February of Blackwell’s campaign launch as evidence of the old-school politics that still surrounds her. It showed her former staffer, Michael Youngblood — who was convicted of extortion, bank fraud, and tax evasion in 1999 — threatening protesters at the event. He offered a bizarre explanation for the outburst but no apology. Erica Atwood, a West Philadelphia resident chairing Gauthier’s campaign, said she thinks if there’s any resistance, it’s coming from people unaccustomed to having options.